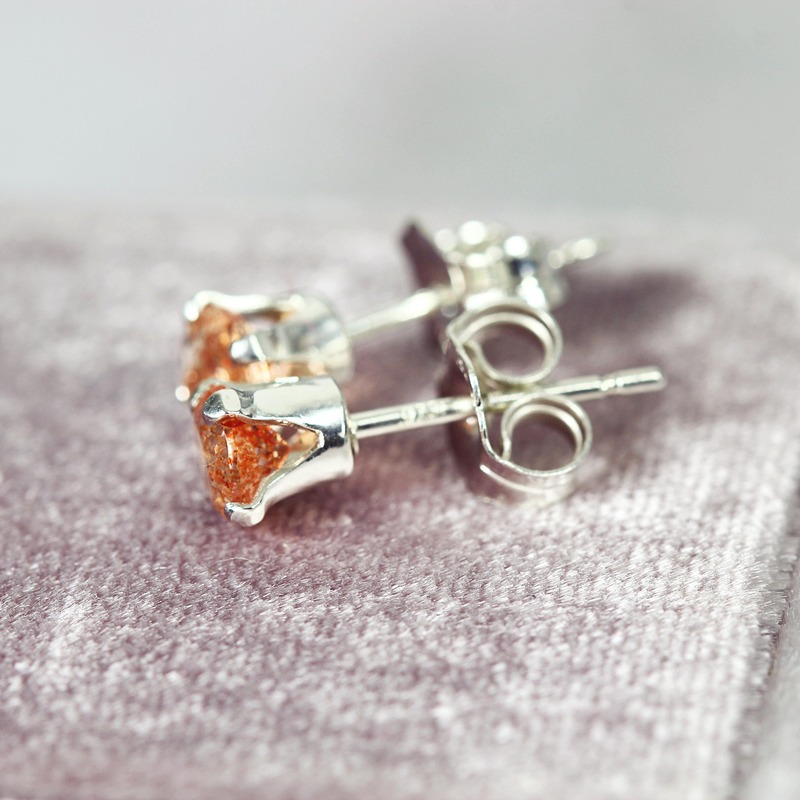 Warm and sparkling, these sunstone earrings will bring a beautiful glow - perfect for brightening up an outfit or a dull day. 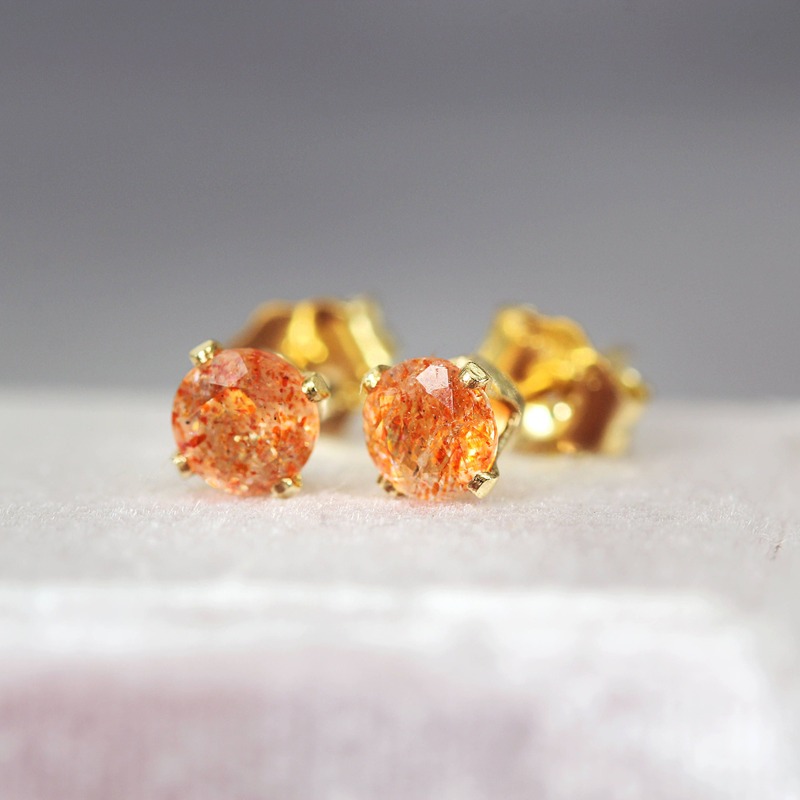 Featuring tiny (4mm) top quality, genuine sunstones in a faceted round cut. 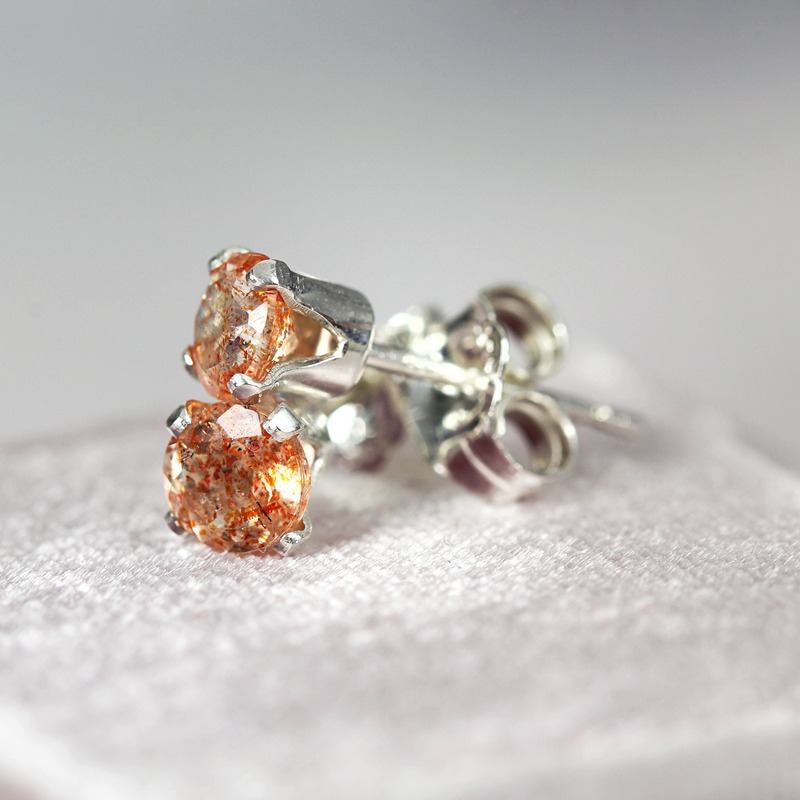 Their beautiful, shimmering orange colouring is set off by your choice of either 14k gold filled or sterling silver ear posts & matching butterfly backs. 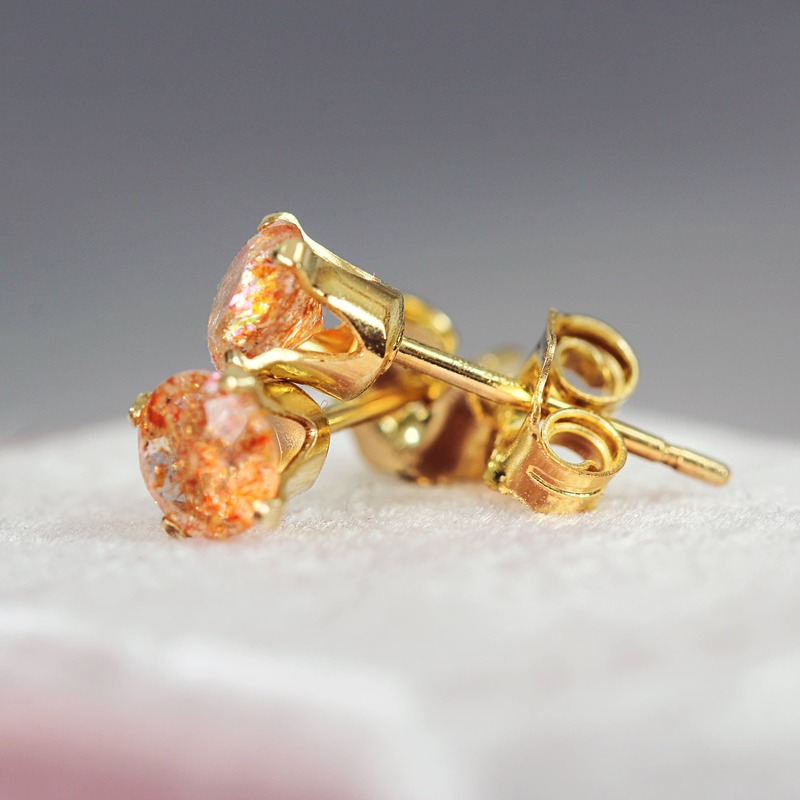 Sunstone gives off the bright and cheery glow of good vibes. 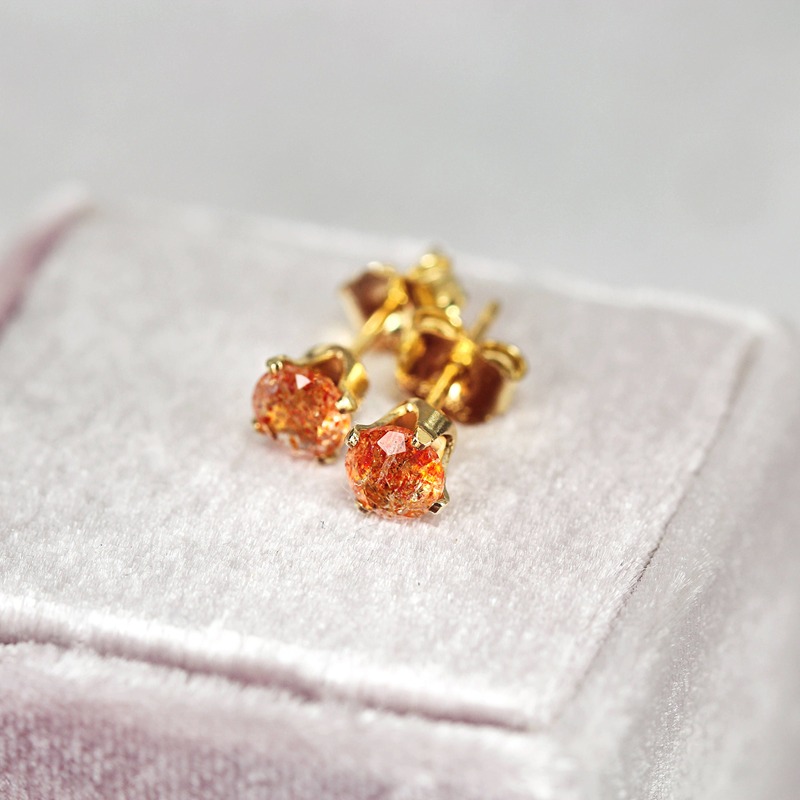 It embodies warmth, strength and vitality, and is associated with good luck and good fortune. It can act as an anti-depressant by increasing self worth, confidence and optimism. 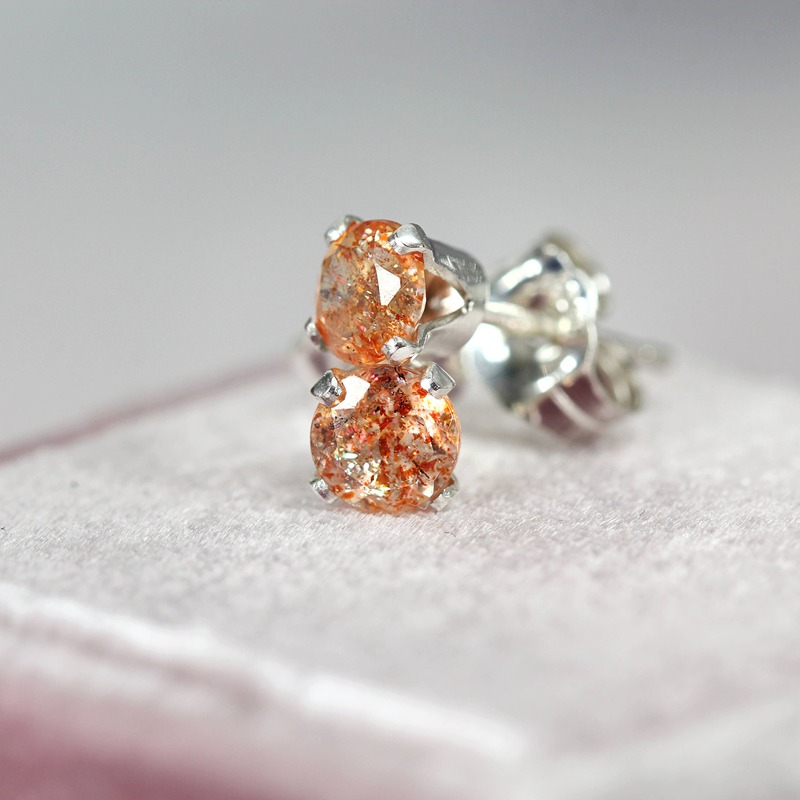 It's a lovely sparkling stone that radiates joy and positivity, and will bring the sun's glow into your life. 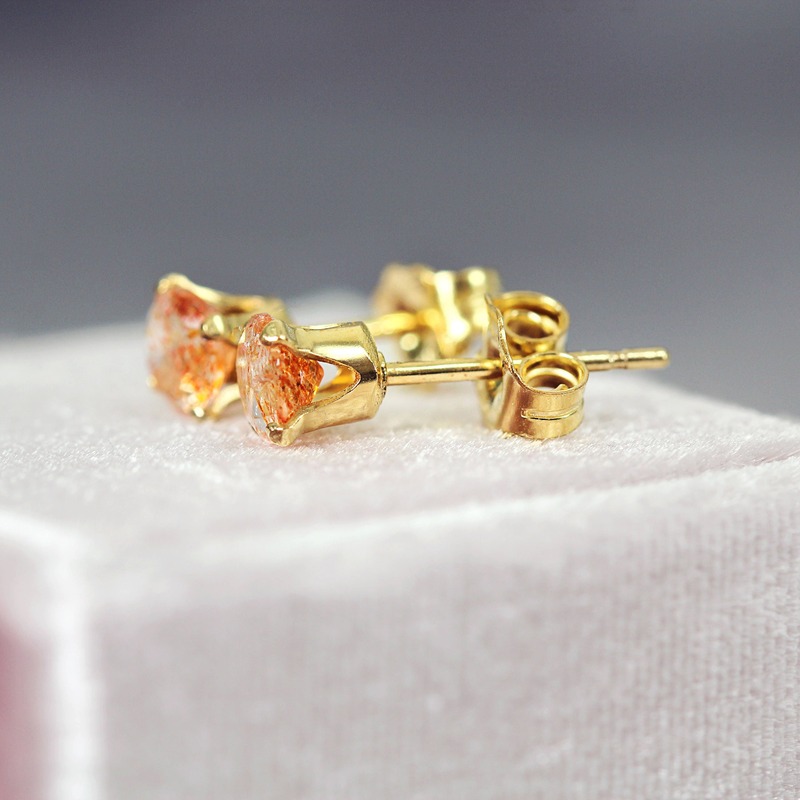 First discovered in Norway, sunstone is mentioned in ancient Norse texts explaining how the Vikings used it to navigate the seas. 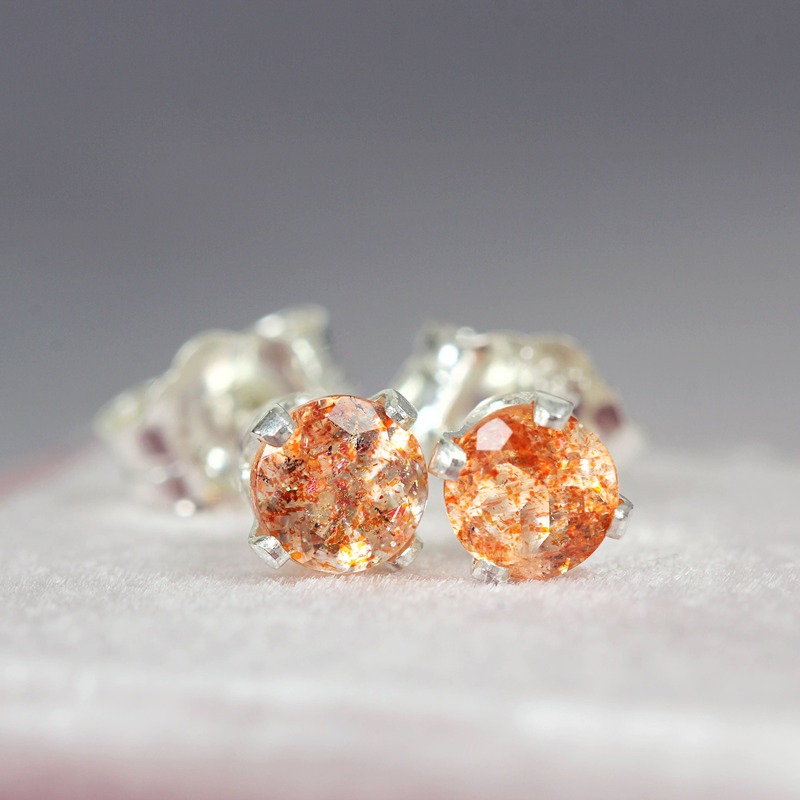 Sunstone gets it distinctive shimmer from light-reflecting properties, which these famous seafarers used to catch rays of light from the sun in order to discern and navigate the directions! 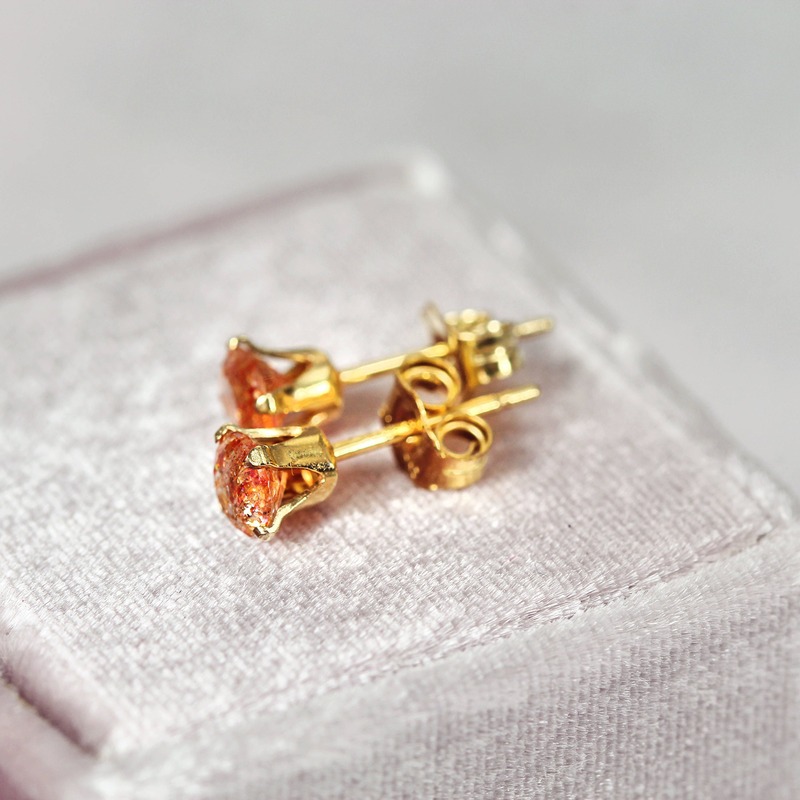 These sunstone stud earrings make a gorgeous gift for a loved one - for mum, sister, girlfriend, wife or friend - for any occasion such as a birthday, a graduation, an anniversary, Christmas, or Valentines' Day gift. 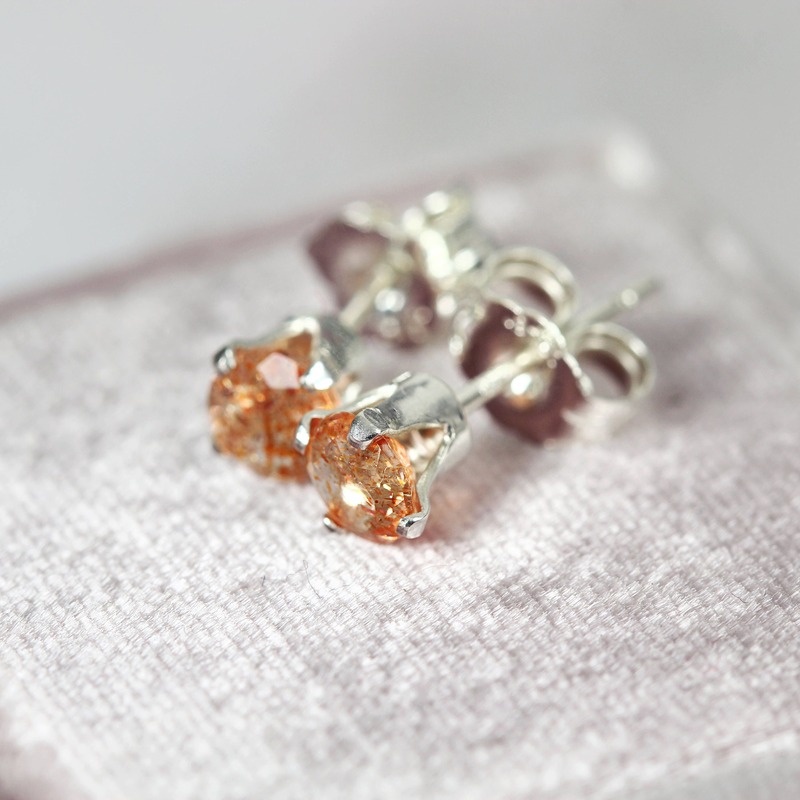 They are great as a gift for someone embarking on journeys, road trips or travelling. Bought my mum these for Mother’s Day and she loved them!